In this short article we meet visual artist, Maria Dimaki, from Greece. I saw a posting online, on Transartists. Superstitions as a theme, is something so old yet present throughout all times. This endurance fascinates me. No technological advancement was able to make them disappear. Founded on our primitive fears and instincts they still exist. My first thoughts were about traditions, stories printed on embroidery, lyrics taken from folklore songs. I chose to use a repetitive pattern, in order to illustrate the "survival" of superstitions from generation to generation. What would you like to communicate with your work, to the viewers? I would like to change the way we stereotypically see medical science. 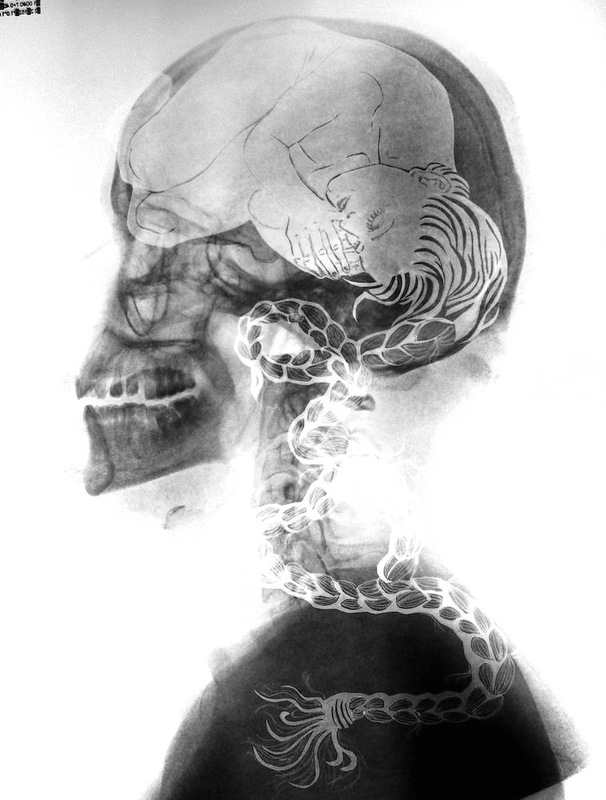 Using medical film (x-rays) as the base for my artistic work, I want to illustrate that there is an artistic side to this science. Xrays, apart from being diagnostic tools, they also present our agony about mortality. They are pictures of our common origins. Using engravings, I play with what exists under the skin, the surface and invite viewers to see themselves on a different level. Can you comment on the idea of collective storytelling? It is often said, that art is a lonely process. This is only part true. If we define art, as a common good, then collectivity is a part of it. Synergy in inspiration, communal ownership, technique as means of learning, education are all included in the realm of doing thing together . And here is a story, were we can all tell it together and individually at same time. Why should anyone come to the exhibition, why support? It is my childhood. The place and time I choose to get my hands all dirty, like then. Maria Dimaki is a Greek painter, engraver, writer, poet and Psychiatrist. 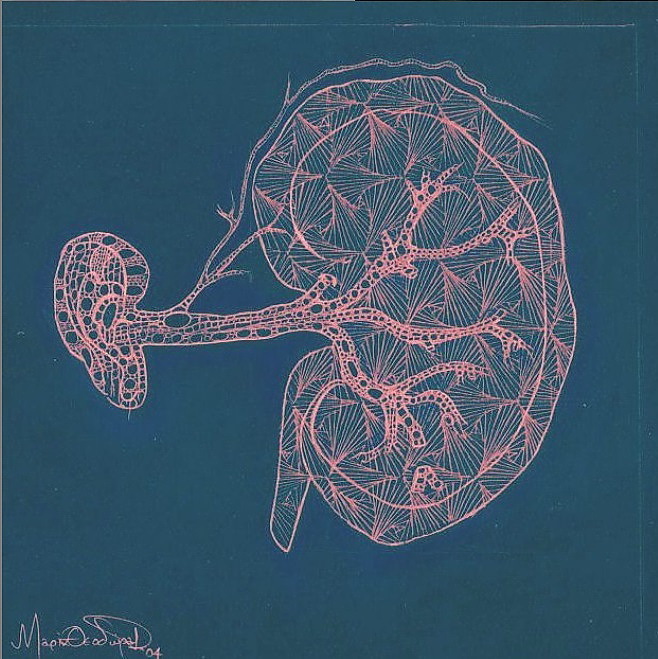 Her works present engravings on medical x-rays. She developed her technique, inspired by the realism of medical photographs and the fear of humans for the inwardly... Her works are displayed in private collections, in municipalities across Greece, in the MUMEDI museum, in the Yoshkar- Ola National Museum of Fine Arts (Russia), in Atelier d'Alexandrie (Agypt), in the Museum of Modern Art (CAM) of Napoli.